Gene grew up spending summers in the Cormorant Lakes area and currently lives on Upper Cormorant Lake. Gene joined the team at Cormorant Realty in 2017. 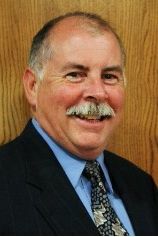 Prior to joining Cormorant Realty Gene enjoyed a 28 year career with the Fargo Police Department, retiring as a Field Services Lieutenant and District Commander. Gene was also a co-owner of a carpentry construction company called, “The Garage Guys” with his brother Greg. Gene has extensive experience in residential and commercial construction. Gene’s hobbies and passions include almost everything associated with lake life in the Cormorant Lakes area. Fishing all four seasons of the year, boating, water skiing, hunting, snowmobiling and ATV riding are some of the things you will find Gene doing in his free time. Whether you are looking for a great lake to fish on, close proximity to snowmobile or ATV trails, an interesting lake for boating, or a quiet rural property to build a home on, Gene can help you find the ideal place. Gene truly views the Cormorant Lakes area as a four season paradise. There is so much more to lake life than just a few months of summer. Gene believes our greatness is measured by our service to others. Whether you are buying or selling property Gene is committed to providing you dedicated service.